Life could not have started worse for John Ssebunya. Kabonge Born in a village near Bombo, Uganda, and with only two years witnessed his father murder his mother and, fearing for his life, fled to the jungle, where they lose all contact with society. The fact of his disappearance, the absence of a family who denounced, was forgotten for years. Three years later, in 1991, a woman from a nearby tribe, while searching for some food in the jungle, he met a young boy of 5 years. Immediately returned to the village to inform the rest of the tribe to find, and there were several who returned to the scene, where they found not only a child reluctant to go with them, but a whole family of monkeys fighting throwing sticks and stones to prevent the child is carried. 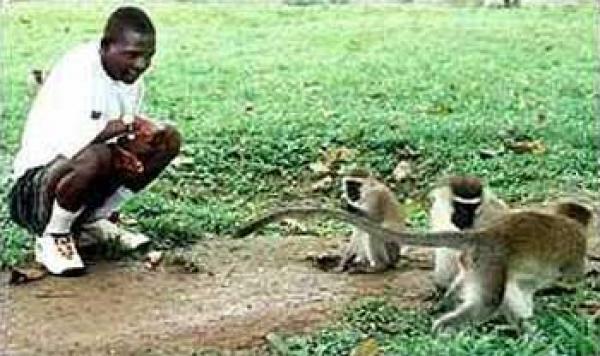 For three years, John Ssebunya had been raised and adopted by a family of monkeys, which were later identified as green vervet, which not only allowed him to join his group, but also taught him all their customs, as well as methods required for jungle survival. Finally, they managed to take John to a nearby Christian orphanage. At that time, John suffered from hypertrichosis, a fairly common in feral children, his body was full of scars and wounds, not tolerate cooked food and its brands in the knees showed he had not yet learned to walk. Over eight years, John has adapted to human customs, learning to walk and disappearing further its hypertrichosis. Every other village resident I could see the band, but no one tried to lure him until Milly, a neighbor girl, found him in a tree and took neighbors to combat family of monkeys who defended him with sticks. Finally, they could take it and take it to a house. John was covered in hair, visibly ill and malnourished. Who went to the bathroom with him were surprised with worms that defecated feet. The community, sorry for your misfortune, hid him as an orphan long time, until it became a charity in news. Years later, talking and eating almost like others, became the most famous member of the children's choir of the local orphanage. 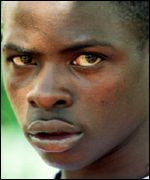 The boy, John Ssebunya, was so afraid for his life that he never returned home from the forest. Later he recalled his time in the wild: "It was very frightening, but then I saw the monkeys and they brought all this food to me. "The monkeys used to love me - we played together all the time." All thanks go to the Molly and Paul Child Care Foundation for having gone to the village were he was, adopted him into their on home, became a member of the pearl of africa children's choir and also have participated in the special olympics. Now a fully grown Man, He has his own house and one hopes of marrying a wife so that he too can start his own family. Many Documentaries have been about him some of include BBC, National Geographic Channel, Dragon Fly Production Company UK and he also appeared on the JENSEN Talk Show in the Neitherlands.